This year flew, I won't go for all of the cheesy "there have been highs and lows" just a simple, 2014, you have big shoes to fill. 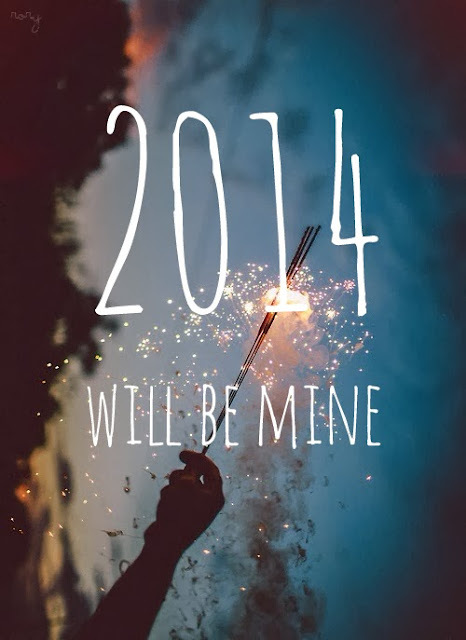 2013 thank you for all the lessons, 2014 I am ready. 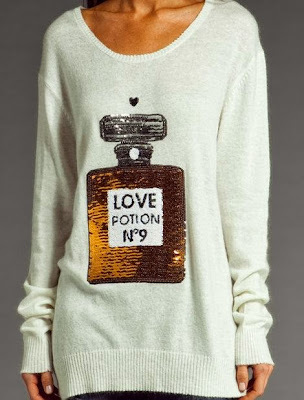 Who needs a little love potion in their life? I know I do! Numerous celebrities have also fallen in love with this comfy sweater including Taylor Swift and Alessandra Ambrosio. I love this sweater so much, the Chanel inspired sequin perfume image adds that extra bit of luxury to a pristine white sweater. Unfortunately it's the same story too expensive, sold out. The Wildfox Couture Love potion no.9 sweater costs €130. If you’re like me and love the look of the Wildfox sweater but shudder at the sight of its price tag, then may I present you this sequin love potion sweater by chicwish.com instead A good alternative to the Wildfox original even though the sequin part isn’t quite as detailed and pretty as on the Wildfox sweater. The amazing Look4Less below is from chicwish.com and costs €37, nearly €100 less than the Wildfox Couture original. Menswear for women is one of those trends that keeps coming back. The fabulous Valentino Rockstud Oxfords below are a great example of this androgynous mood. I love the use of studs to add a rebellious edge while still maintaining the oxford's refined and sleek style. I'd love to call these elegant, lust-worthy shoes mine but at €485 that isn't going to happen. Oh, Italian designer shoes, why do you have to be so darn super expensive? If these Valentino brogues are in your price range they are available from mytheresa.com, Saks Fifth Avenue or Bergadorf Goodman, If not I have an amazing Look4Less below. This pair of Oxfords will look especially sharp with tailored trousers and a shirt.The sole on these is slightly different than on the designer originals, but overall they look pretty much alike! To be honest I prefer the Valentino originals but for the price difference I think I can deal with the slightly chunkier sole. The Look4Less below is from Mango and costs €72. I really love the angular design of these black ankle boots. So chic! And expensive. Le sigh! Celebs such as Heidi Klum, Cheryl Cole and Demi Lovato have all been spotted wearing Saint Laurent Classic Paris Chelsea Ankle Boots. 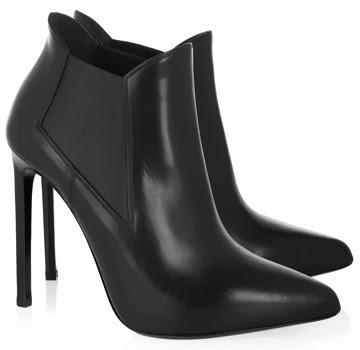 Though these boots are so minimalistic, they exude a mega-luxurious look. And since it is an ankle boot, one can really wear anything with it. The major downside is the massive price tag of €695; therefore, I have found a great Look4Less for you below! If you don’t see yourself splurging on the original Saint Laurent booties, these ankle boots by Steve Madden look almost identical but for a fraction of the cost. And If I may say so myself, I did pretty good. 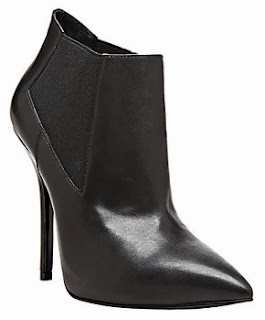 The Devil shoe by Steve Madden is remarkably similar for only €82 and are available from House of Fraser.